The aim of this project is to tailor the electronic and optical properties of silicon clusters by combining doping and surface modification. The ultimate goal is to arrive at a level of understanding where targeted control of these properties will become feasible. This requires a fundamental investigation of doped silicon clusters and their interaction with adsorbate molecules as well as surface passivation. 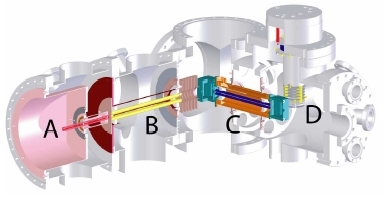 In close collaboration with experimental and theoretical groups of the research unit we will address these questions across the visible through X-ray photon energy range by applying X-ray photoionization and UV photodissociation spectroscopy, resonant Raman spectroscopy, as well as photoluminescence spectroscopy. These techniques will yield detailed insight into the electronic and geometric properties of surface modified doped silicon clusters.